A fun loving, outgoing personality is definitely part of the family genes. We love getting together, sharing our favorite recipes, laughing, telling stories and just having a good time. 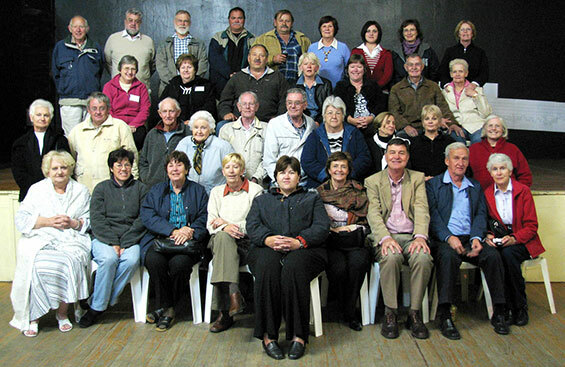 So our Family Reunions have become a definite tradition for many of us. 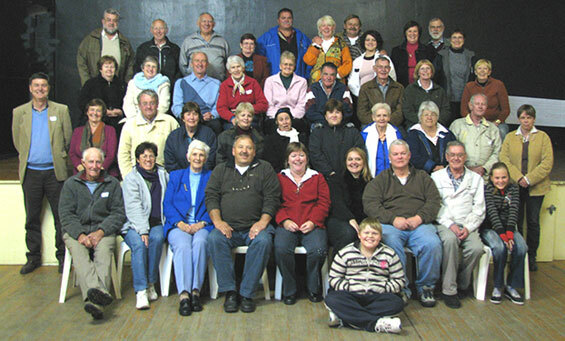 May 19, 2005 was the First International Family Reunion. It was held at the Village Hall in Cranham England. Some of the Cousins in England decided in 2004 that they would have a gathering for the family on that side of the pond. It was planned to have it at the Village Hall in Cranham. One of the cousins from Yorkshire went on a search of Wiggall Families living in England. He sent out a Christmas Letter in December of 2004 inviting them to Cranham in May. A letter was also sent to the rest of the family all over the world telling them about this gathering. We asked if anyone else wanted to come! Silly question! We were hoping for 30-40 people for the day! No one could have dreamed that 109 Wiggall / Wiggill / Wiggle Family Members would come from the USA, Canada, Australia, South Africa, Ireland, Wales and all over England to meet….most of us for the first time. The next day the Gloucester Citizen Newspaper had a 12 x 12 inch collage of eight photos in color and a wonderful article telling about our gathering. That same morning the local radio station also gave a report of the day, commenting that “Cranham will never be the same”. Little did he know that none of us would ever be the same! Mike Wiggill from Utah was going to England for the Reunion. He had a dream! He wanted to make some t-shirts for the big day! A month before he left for the trip, he had 77 t-shirts made up and paid for them out of his own money. He had no idea if anyone would want one! They were royal blue in color with white lettering. The front said, “Gimme some WIGGLE room” . The back had the name, date and place of the Reunion. They were the hit of the week. He came home with an empty bag! Pilots, flight attendants, taxi drivers, bell hops, doormen, bus drivers and waitresses all saw them and knew about our upcoming Reunion. One of the neat memories of that day was a group of the family from the England, Ireland, South Africa, Canada and the USA all gathered outside the Village Hall for a “t-shirt photo”. August 6 , 2005 Wiggle Family Reunion, Canton, Michigan. Watch your email and the website for further details!